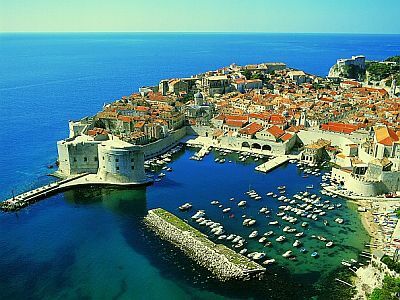 The Old City of Dubrovnik is located on the coast of the Adriatic Sea. It is generally accepted that it was founded by Dalmatian refugees in the 7 century, but recent archeological findings contradicts this fact. Some evidence point towards Byzantian origin, and others even to Greek origin before the common era. During it's glory days it was a city-state, known as Republic of Ragusa. It rivaled other major cities like Venice in maritime trade. It had a high social profile at an early agae. Slavery were abolished in 1418. The world's first pharmacy still open today opened in the city in 1317. During it's time the city have had it's share of war and occupations. Control of the city has changed several times. It has still been able to recover, and was added as an UNESCO World Heritage Site in 1979. The city is know as 'The Pearl of the Adriatic' and is apparently best viewed from kavak.